In spite of a declining trend in the number of cases and deaths over the last few years, malaria still causes significant mortality and morbidity and the bulk of the burden is observed in children under five years of age. During the course of malaria infection, parasites and red blood cells come under oxidative stress and there is host immune response in an attempt to protect the red blood cells. The frequency of monocytes and lymphocytes in peripheral blood might, therefore, be expected to reflect the state of an individual’s immune response to the infection. 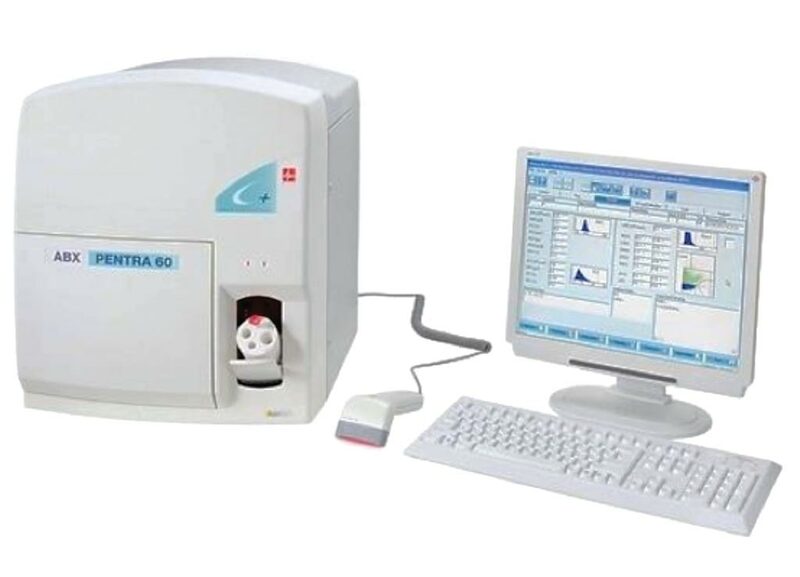 Image: The ABX Pentra 60 C+ automated hematological analyzer (Photo courtesy of Horiba). Medical laboratory scientists at the University of Ghana (Accra, Ghana) conducted a case control study between the years 2014 and 2017, that included children, both male and female up to five years and four months old attending the selected hospitals and presenting with clinical malaria as cases and apparently healthy pre-school and school children undergoing health screening as the controls. 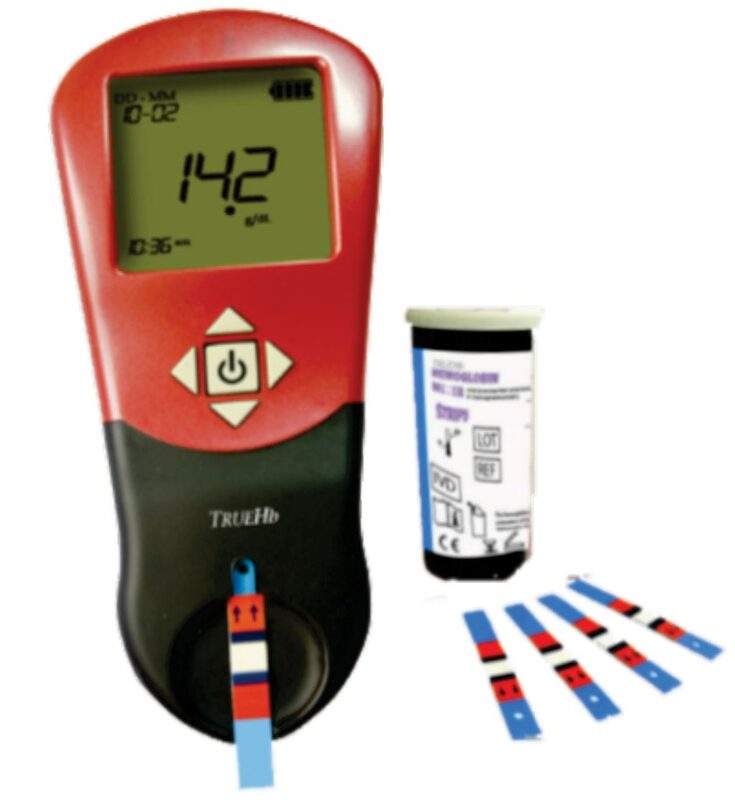 Venous blood sample were taken from participants by phlebotomy into anticoagulant tubes. Thick and thin blood films were made and stained with Giemsa and examined for malaria parasites. For hematological analysis, whole blood specimens were analyzed for full blood count using ABX Pentra 60 C+ automated hematological analyzer and the result used to estimate the monocytes and lymphocytes ratio of each participant. Also the thin smears were examined to confirm the morphology of the cells. The absolute count of the monocytes and lymphocytes level of each sample was entered into a calculator and the ratio was estimated by dividing the monocytes by the lymphocyte counts. The other ratios were calculated using the same formula. The study comprised of 1,629 (males = 55%) children presenting with clinical malaria as cases and 445 (males = 57.7%) apparently healthy children as controls. Blood samples from the malaria patients showed positive blood smear for malaria parasites, while no parasites were found in the healthy control subjects. There was a significant difference between lymphocytes of the case group and that of the controls and there was also significant difference between the monocytes to lymphocytes ratio of the cases and controls. Significant difference in neutrophil to lymphocyte ratios between the two study groups was also observed. The authors concluded that the monocyte to lymphocyte ratio obtained correlated positively with the presence of malaria as well as the level of parasitaemia. The outcome of this work implies that monocyte to lymphocyte ratio can be used to predict the level of parasitaemia and together with other factors, the development of severe malaria. The study was published on November 12, 2018, in the Malaria Journal.